to support our presence on this online community. The new “Push Hands – the Game of Life” dvd is now complete – both volumes 1 and 2. 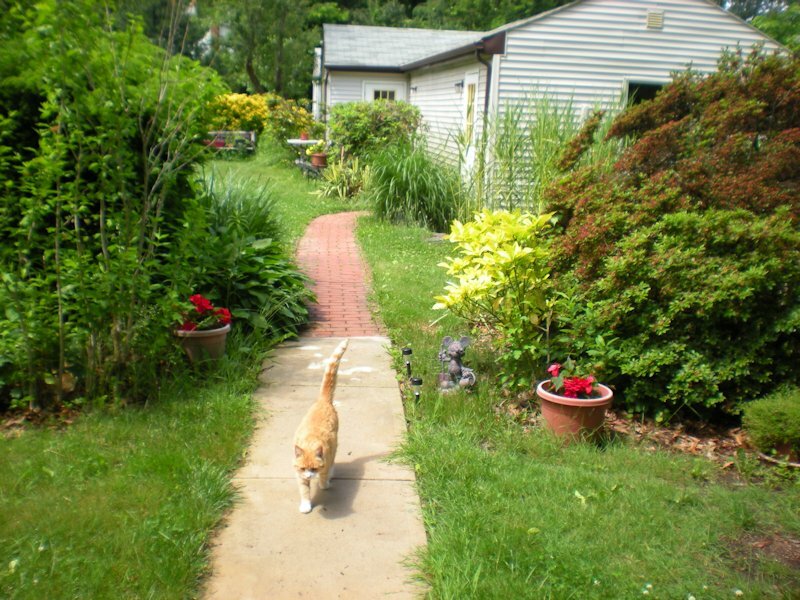 This program is a workshop about how to make your life more powerful using Taoist principles. 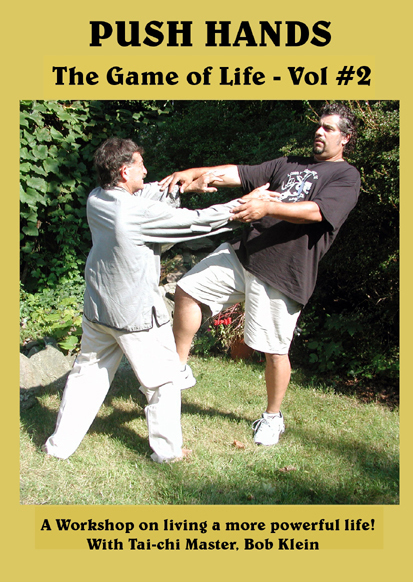 It uses the Tai-chi two person exercise of Push Hands to visually illustrate these principles. It explains the physical dynamics of the human body and the mechanics of the mind (attention) in great detail and how, by gaining skill of these mechanics, we can influence the course of our lives. 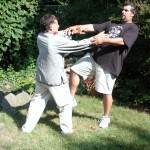 What we think of as great obstacles, can easily be dissolved using the skills we gain in push hands practice. 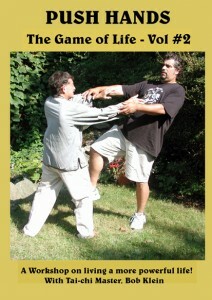 We can even neutralize the aggression of other people, whether emotional, mental or physical. 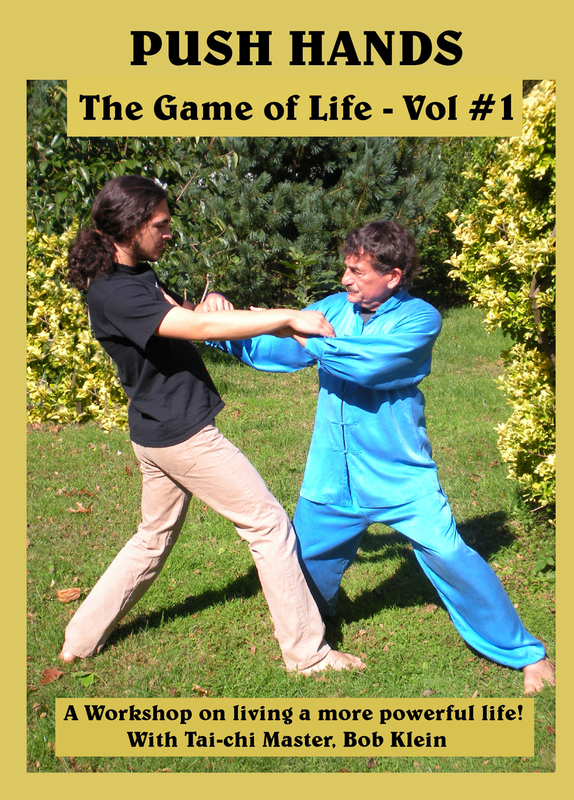 Most importantly, Push Hands – the Game of Life, teaches strategies to deal with everyday life to make your life more healthy and successful. 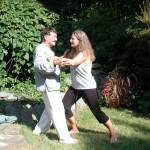 Even if you do not practice push hands, you will easily understand the principles and be able to apply them. We just got finished taping the new push hands video of the push hands workshop I have been giving. It’s a lot of fun with great information. A couple of the students almost got pushed into the goldfish pond during the taping. 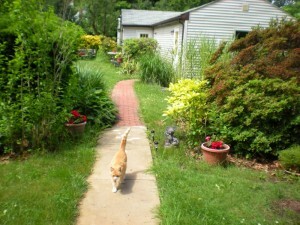 We had to compete with the sounds of lawnmowers, dogs and the Mr. Softee truck. I am hoping that people will see how easy it is to apply push hands principles to everyday life and make your life more effective and powerful. Finished product should be available in a few months. I have now entered the modern age and opened a page on facebook. This will be used for announcements of the Long Island School of Tai-chi-Chuan and for communication with any interested people. 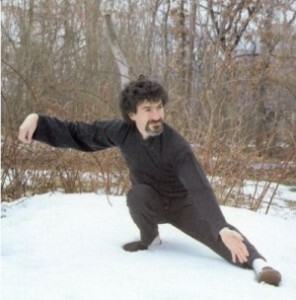 I believe you can just look up Tai-chi-Chuan School. 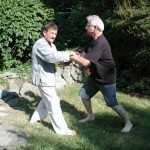 The URL is http://www.facebook.com/#!/pages/Tai-chi-Chuan-School/148213195244583 If you have any questions, use that facebook page. I will check it every day. Our books, “Movements of Magic – the Spirit of Tai-chi-Chuan”, “Movements of Power – Ancient Secrets of Unleashing Instinctual Vitality” and the adventure novel, “The Doubting Snake” are now available for downloading from the Amazon Kindle service. This is a new generation of technology in which you can download and store books on your kindle or other similar device. You can go to www.amazon.com and click onto the”Kindle” link. Then type in the name of the book you want to download into their search engine. Then click onto the book to begin the download process. And then please let us know if you enjoyed the books.